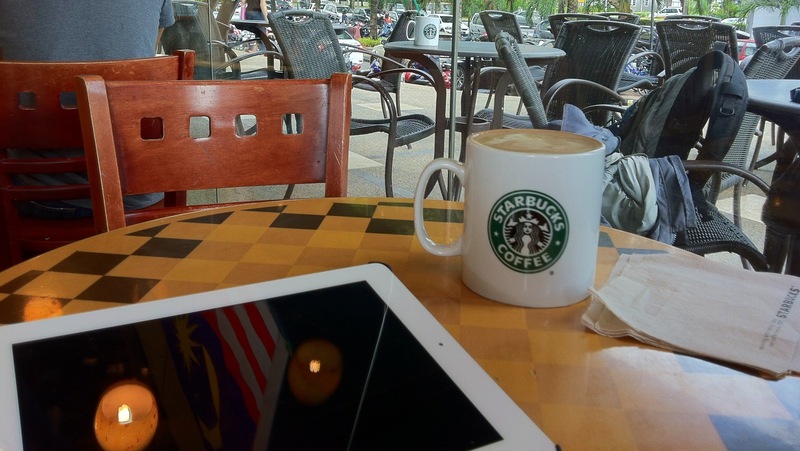 Good Afternoon guys, sitting at a Starbucks in Penang now, with my Café Mocha except today it,a venti, trying some variation out ( Venti 2 normal shots, 1 decaf, 6 pumps chocolate). So far my Penang trip has been amazing, the haze parted ways for my arrival 😉 the botanical gardens is an amazing place to chill and exercise; and i’ve actually been exploring Penang instead of just staying at one place, not that that isn’t fun but we need to try out new things. Checkout my twitter (@arkay6) or my Instagram (@arkaysthoughts) if you would like to take a look at the pictures of my trip so far. So to the point of the day, it’s time for Thought of the Week, and today’s thought is simple enough, have you made an impact? I can tell you this, one of the greatest sources of joy, satisfaction and happiness; one of the greatest feelings you can ever get is when you make a positive impact on somebody else’s life. Whether its a family member, part of your Team, a friend or a random person. I know it may sound bizarre to some out there, but it is true. Making a positive impact doesn’t mean it has to BIG. it just has to come from the heart, it has to be a genuine act, something Straight From The Heart. It can be as small as helping a kid out with his homework which could be the turning point on his school year, it can be being there for your Friend in dark times and supporting him/her. It can be anything, because everything has an impact, it’s just a matter of scale. Remember, it doesn’t have to be BIG, start of small and then see what happens. When I first started writing more positively about 3/4 months ago, during my “Second Coming” I got messages from old friends telling about how my writing was helping them, telling me how they could relate and thinking me for it. It was amazing, I felt great, made me feel like I was making a difference, that I wasn’t living in vain. Deep down, we all want to make a difference, but we have this perception that to make a difference it’s got to start of BIG, or they you have to have money to make a true impact, and while that may certainly help you, it doesn’t mean that you can’t make an impact or a difference around you without it. Anyone can make a positive difference, you just got to believe you can, start small (Just Do It), and take it from there. You can start by taking on more responsibility at home, help out to lessen the burden on the other members of the family, that will make an positive impact/difference in their life’s. Be positive around the people around you, it will make an impact by helping to better their moods, when someone is having a bad day, find a way to cheer him/her out, if you’re friend hasn’t celebrated his/her Birthday in a while, plan a surprise Birthday party! Send flowers to someone when you think they need it, yes they will die, but I personally discovered this year that flowers will brighten the mood of the recipient, cheesy… Yes, but that doesn’t mean it doesn’t work. Steve Jobs and Woz started out from a garage, they didn’t know that that would lead to the most valuable company at the moment, churning out products that make a positive difference in our life’s, My life. Mother Theresa started out with picking up one person before going on to helping out thousands. But remember, as much as you want to make a positive impact, don’t forget about taking care of yourself, I am a big advocate of ensuring they you can take care of yourself, yes this will help you as well, but don’t get lost trying to save the world that you lose yourself. Anyone can make a positive difference, it’s just a matter of scale.